Are you a HR professional who strives to continuously optimise employment practices? Are you looking for an opportunity to nurture and develop talent throughout all levels of an organisation? Awarded the UK Top Employers certificate in 2018, our client is proud to provide an outstanding employment environment and is looking for someone who is dedicated to creating a dynamic and values-led work culture. You will have the opportunity to shape, implement, influence, manage and deliver a broad range of People initiatives and activities which will help engage those in customer-facing roles. The ideal candidate will have solid experience of working in a business partner role within a fast paced customer facing environment. 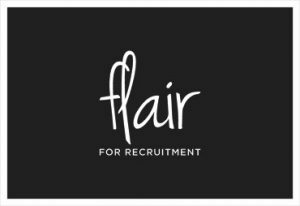 If you feel you tick the boxes, get in touch with Ellie at Flair for Recruitment for more information. Perhaps you know someone else who would be interested in this position? If so, send them our way – we will reward you with vouchers of your choice for successful referrals!